My father once had a very pretty cousin named May. She came from his mother’s side of the family, jewelers from Wuzhen (乌镇). I’d love to see Wuzhen’s wood-crafted homes and ancient bridges, though I hear that few Chinese still inhabit the place. In my grandmother’s time, though, it was a bustling town. Her father was quite successful with his jewelry business but he had grander ideas for his son. He had his boy schooled in the Confucian classics of literature, calligraphy and poetry. And perhaps this boy, when he himself became a father, passed onto his daughter May a love for learning. May’s father had other loves, too. He was an opium addict. 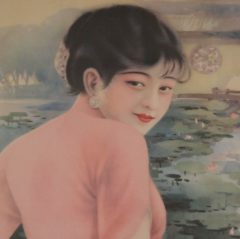 In 1920’s China, that wasn’t a strange thing. Opium use was already an ancient practice. Its medicinal properties were recorded as early as the 11th century. But it wasn’t until the late 18th century that opium became a cornerstone of Chinese life. British traders eager to buy Chinese silks, teas and porcelain paid, not in silver, but opium. Chinese demand for the drug exploded. The style of opium smoking favored in China [was] heating a tiny globule of refined opium paste over a flame and then smoking it from a long-stemmed pipe. [Edicts] are drawn up by Chinese philanthropists over a quiet pipe of opium, signed by opium-smoking officials, whose revenues are derived from the poppy, and posted near fields of poppy by the opium-smoking magistrates who own them. Opium addiction in China also led to other social evils. To finance his drug habit, May’s father sold or gambled away all he had including his wife and concubines. When he died, May was both orphaned and penniless. No good can come from educating a pretty girl. May went to school anyway, paying for her education out of the wages she earned as a dance hall hostess. 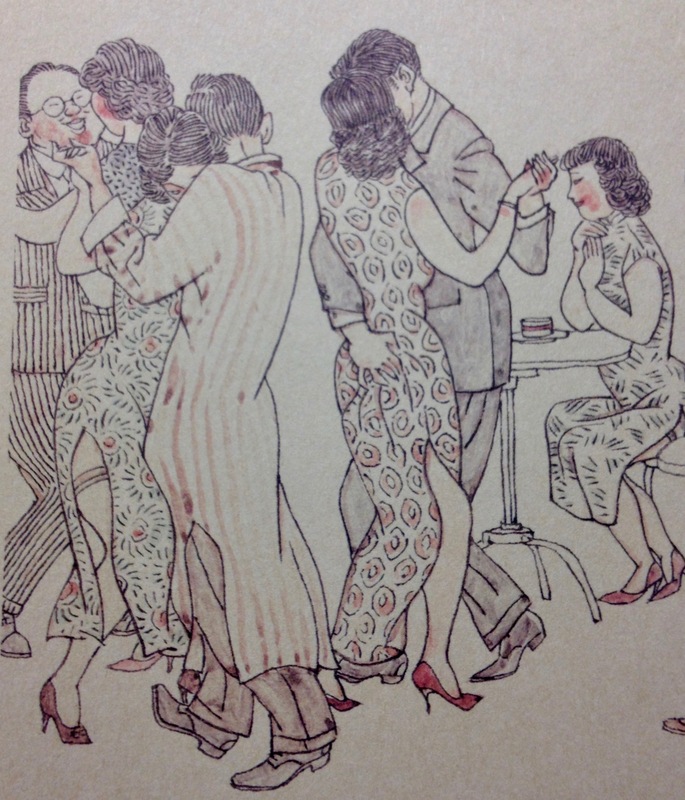 Public dancing was respectable in the 1920’s and early 1930’s. Single men and women could meet each other. Or men (single or married) could have some fun with a professional. Hostesses waltzed and foxtrotted, talked and sang. The local newspaper even printed an article about May, deeply impressing my teenaged father. This tiny twist of May’s life story inspired me to write my novel, The Dancing Girl and the Turtle. My heroine is an intelligent young woman whose only desire is to learn. Song Anyi comes to Shanghai in search of freedom. She’s smart and capable and good with numbers. But her family laughs at the idea of her working in an office. Who would hire a pretty girl for a man’s job? But there were plenty of those kinds of jobs in Old Shanghai. Dance hall hostesses, singsong girls, high-class geishas. It’s easy for Anyi to get a job as a dancer. Too easy. Now imagine the slippery slope. The dresses and the shoes and the rouge that all cost money. The debts a girl can incur just to stay pretty. Prostitution becomes tempting if not inevitable. Will Anyi succumb and, if so, why? What does a pretty girl really want or need? She may not know herself. Who among us does? May left Shanghai around the time of the Communist Revolution via Hong Kong and Canada. A former colleague from her dance hall days helped May and her two children get into the US. Eventually, however, she returned to Shanghai. She lived in Hongkou, where the Japanese concession and the Shanghai Ghetto once stood. We visited her there in 2011. She was 92 years old then. Her hair had gone completely white though the fine bone structure in her face was still clearly visible. She died in the summer of 2012 in the presence of all her children at home in Shanghai.